Good Magazine is all about the world that surrounds us and reporting politics, earth, and much more. 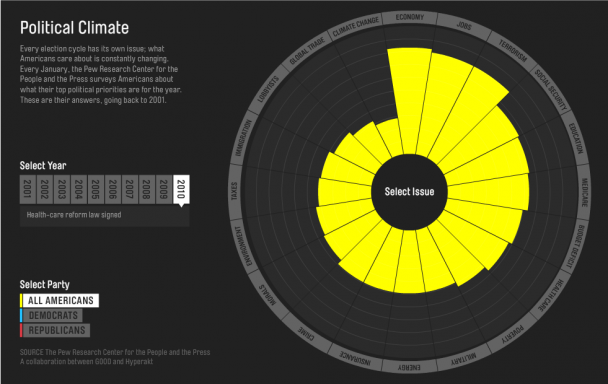 Check out this interactive chart reporting the most important topics during the election cycle. They have several amazing designed charts here.